We have developed a new set of vintage industrial filing cabinets to complement our range of industrial office desks and furniture. The dark sheet metal gives the rustic vintage look which is then complemented by the solid oak top and front panels. 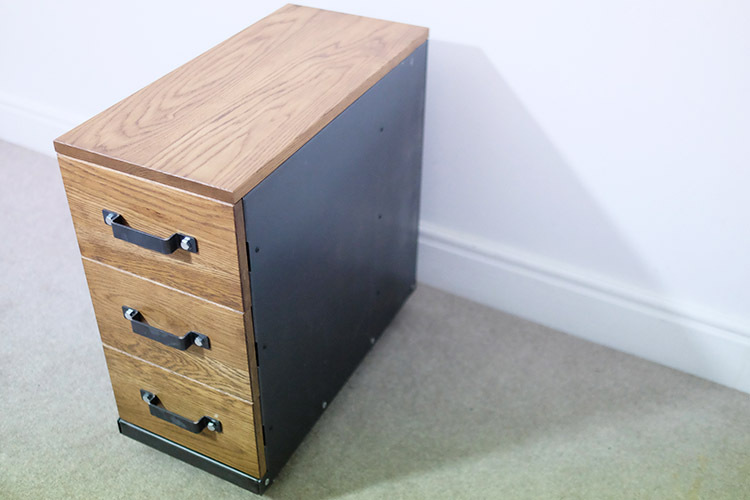 Customisable options are available for these industrial filing cabinets. We can powder coat the steel sides and handles in a colour you desire and customise the wood panels with a choice of oak colours. You can view the customisable options here. 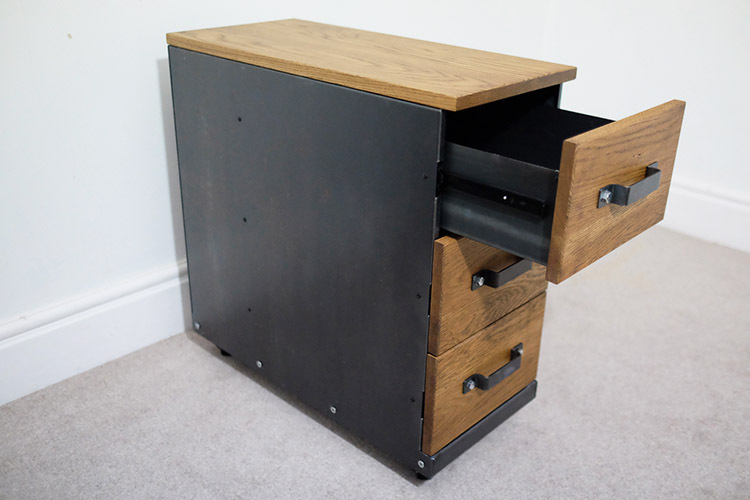 Our industrial style filing cabinets are available in set sizes online but can be made to your custom measurements if you require a bespoke project. If you would like a bespoke vintage metal filing cabinet contact us online or call us using the number at the top of the website. The option you can see here shows 3 drawers however we also offer the chance to have a 2, 4, 5 or more drawers. 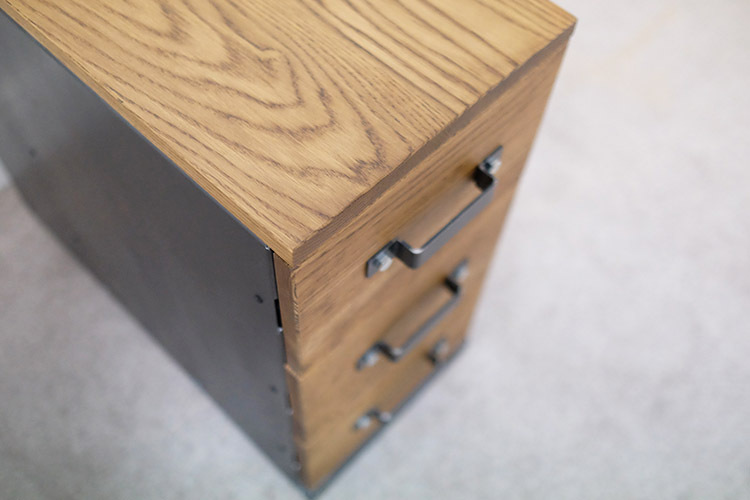 We can also change the oak panels to steel if you prefer the raw metal steel filing cabinet look. 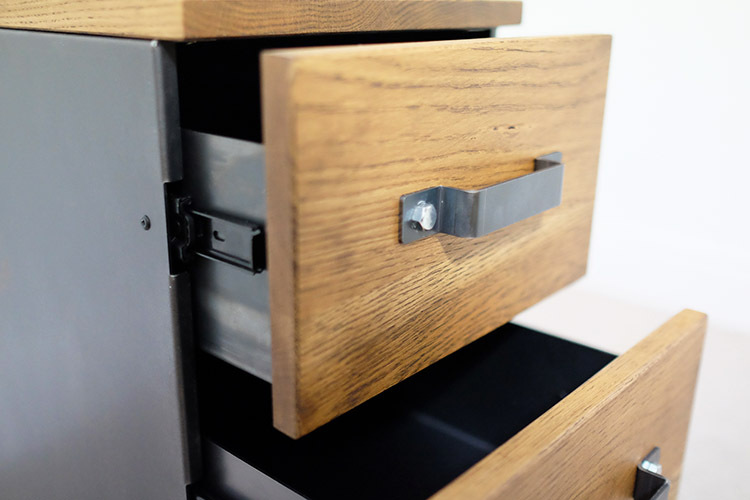 The steel filing cabinet shown on the images above includes an Antique oak treatment. The steel is the Charcoal option. This is the only steel choice available in this vintage metal filing cabinet. 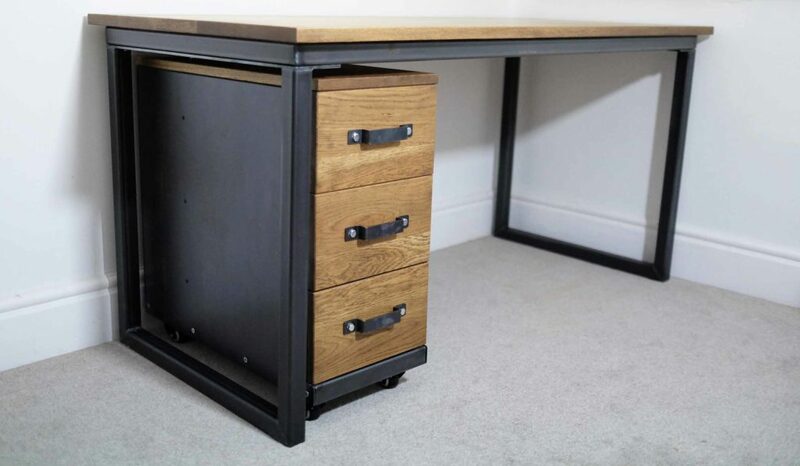 If you have an idea to create a completely new and unique set of industrial style filing cabinets you can contact our bespoke order department and have the chance to work with our designer to commission your own personal industrial filing cabinets. For any other queries contact us online and we will be more than happy to help. Whilst your online take a look at our online shop to view our full collections.